Use these modern tumblers and increase brand recognition – 24HR! Solid dual-wall acrylic layers will keep your hot or cold drinks fresh, while preventing condensation from forming on the outside. 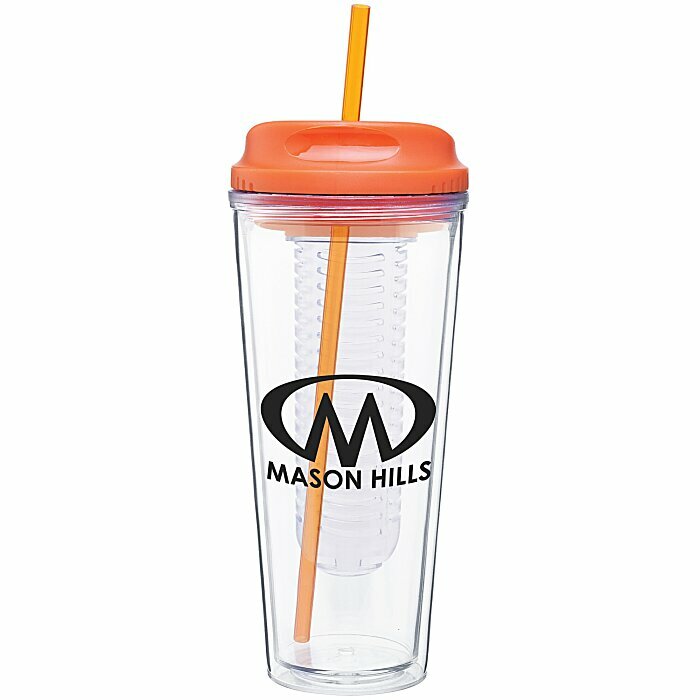 This reusable tumbler has the shape of a to-go cup with the option of drinking from a straw. The straw can be removed for convenient storage. 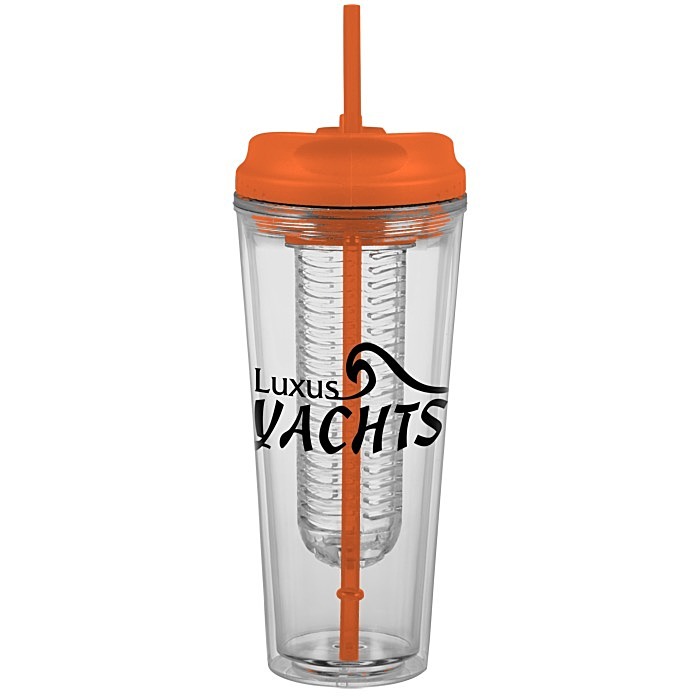 The plastic core is the perfect size to hold tea, fruit slices or ice for a flavorful, refreshing beverage. The screw-on polypropylene lid seals the cup securely for spill-resistant performance. 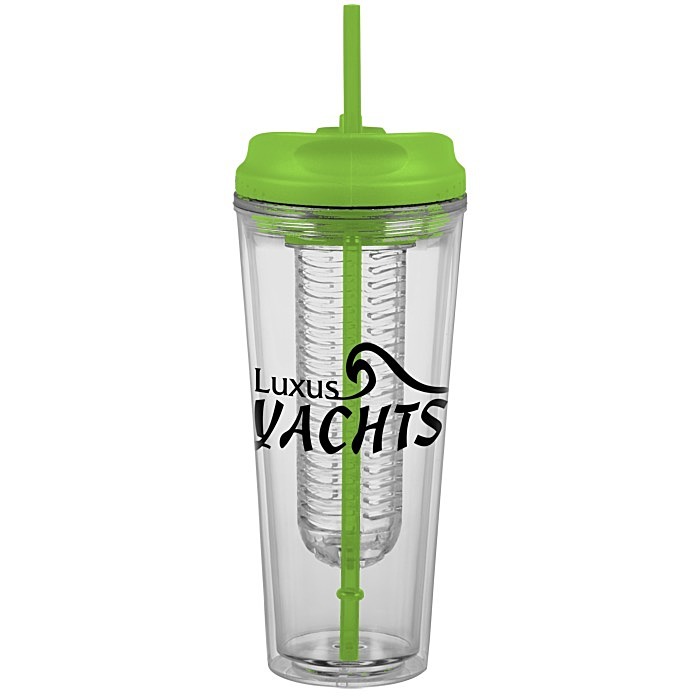 A great on-the-go accessory in the car, office, classroom or home--this tumbler will travel with you! The clear body makes it easy to see through and keep track of how much beverage you have left. This reusable, trendy tumbler is ideal for cafés, restaurants, businesses, athletic centers and more! Your price includes a one-color wrap imprint on tumbler.